Convey your fond wishes to your dear brother with this elegant rakhi. The design is very unique thereby giving a perfect festival look. 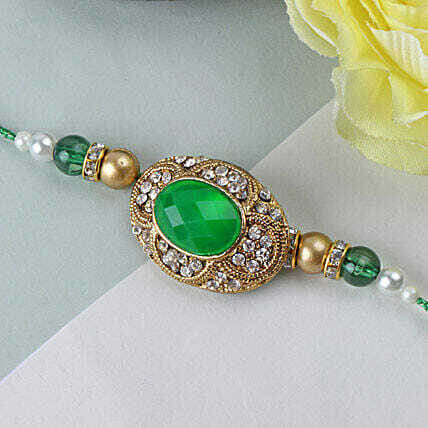 This exquisite rakhi with artistic design and emerald stone makes it perfect to amaze your dear brother.